“Our target recommendation is the same for all children between the ages of 2 and 18 to keep it simple for parents and public health advocates,” said Miriam Vos, M.D., Ms.P.H, lead author, nutrition scientist and associate professor of pediatrics at Emory University School of Medicine in Atlanta, Georgia. 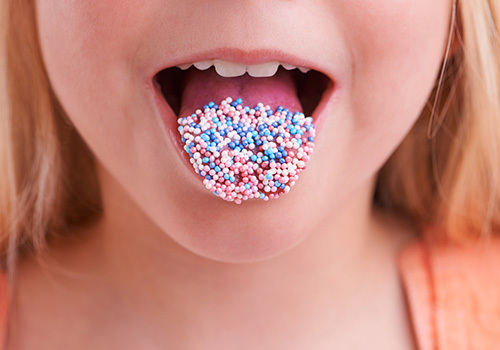 “For most children, eating no more than six teaspoons of added sugars per day is a healthy and achievable target,” said Vos. The likelihood of children developing these health problems rises with an increase in the amount of added sugars consumed. Overweight children who continue to take in more added sugars are more likely to be insulin resistant, a precursor to type 2 diabetes, according to the statement. “There has been a lack of clarity and consensus regarding how much added sugar is considered safe for children, so sugars remain a commonly added ingredient in foods and drinks, and overall consumption by children remains high — the typical American child consumes about triple the recommended amount of added sugars,” said Vos. The statement was written by a panel of experts who did a comprehensive review of scientific research on the effect of added sugars on children’s health, which presented challenges common to this kind of nutrition research. Added sugars are any sugars — including table sugar, fructose and honey — either used in processing and preparing foods or beverages, added to foods at the table or eaten separately. Starting in July 2018, food manufacturers will be required to list the amount of added sugars on the Nutrition Facts Panel making it much easier to follow the recommendations in this scientific statement. “Until then, the best way to avoid added sugars in your child’s diet is to serve mostly foods that are high in nutrition, such as fruits, vegetables, whole grains, low-fat dairy products, lean meat, poultry and fish, and to limit foods with little nutritional value,” said Vos. Estimated calories needed by children range from 1,000 a day for a sedentary 2-year-old to 2,400 for an active 14-18-year-old girl and 3,200 for an active 16-18-year-old boy. “If your child is eating the right amount of calories to achieve or maintain a healthy body weight, there isn’t much room in their food “budget” for low-value junk foods, which is where most added sugars are found,” said Vos. The statement notes that one of the most common sources of added sugars is sugar-sweetened beverages, such as soda, fruit-flavored and sports drinks, sweetened teas and energy drinks. “Children should not drink more than one 8-ounce sugar-sweetened drink a week yet they are currently drinking their age in sugary drink servings each and every week,” said Vos. Because of the lack of research for or against the routine use of non-nutritive sweeteners, such as aspartame, saccharine and sucralose in the diets of children, the authors felt they could not make a recommendation for or against these no-calorie sweeteners. In addition, it is not known whether the high sugar content in 100 percent fruit juices should cause the same concerns as beverages with added sugars. Other tips for cutting back on foods with added sugars include avoiding sweet processed foods, which tend to be loaded with added sugars, such as cereal bars, cookies, cakes and many foods marketed specifically to children, like sweet cereals. Dr. Vos noted that the 2015 Dietary Guidelines for Americans, the World Health Organization and the Food and Drug Administration recommend that added sugars should make up less than 10 percent of calories, which aligns with these guidelines.